More than ever couples are turning to mediation and other alternative dispute resolution to settle a California divorce. For these former spouses, this means skipping a divorce trial, but often this isn’t the real reasons a couple decides mediation is the right route for their divorce. Wondering if your divorce proceedings are a potential candidate for mediation? 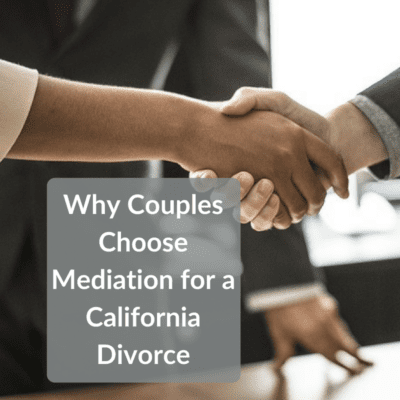 From a Newport Beach CA divorce lawyer: here’s information on why and when couples are choosing mediation for a California divorce. Alternative dispute resolution, such as mediation, puts power back in your hands. An independent third party, called a mediator, leads the mediation process. 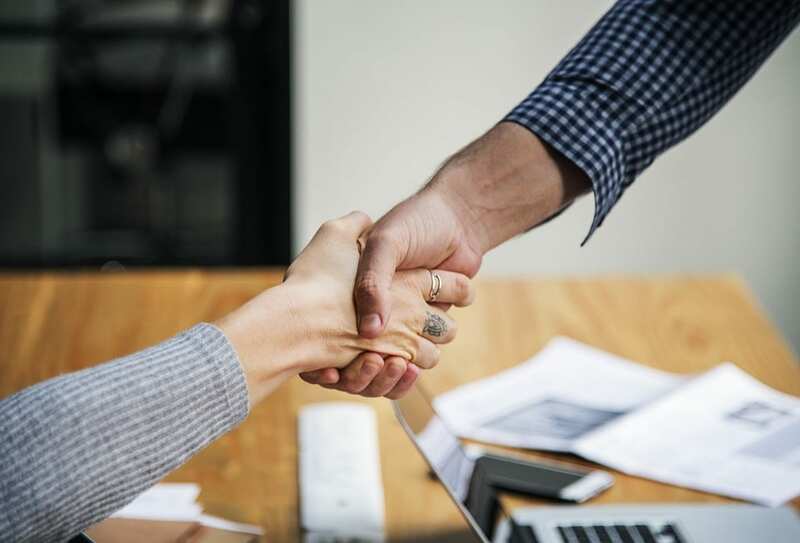 A mediator has no vested income in the outcome of your divorce, similar to a judge, but the decision or advice of the mediator is non-binding. Rather than issue a specific outcome, it is the mediator’s job to guide you and your former spouse to a compromise. The non-binding structure of mediation gives a couple the leeway to come to an acceptable compromise, without feeling that one party or the other is backed into a corner. The structure is also more conducive to parties that don’t have deep-seeded disagreements and are willing to give ground on one issue to gain ground on another. A Newport Beach CA divorce lawyer can accompany and advise you during meditation. 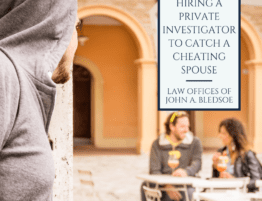 The mediator will be very familiar with California divorce law and may offer suggestions or information during the mediation process, but having a lawyer present is still valuable. Your Newport Beach CA divorce lawyer will always have your best interest in mind, including in mediation. 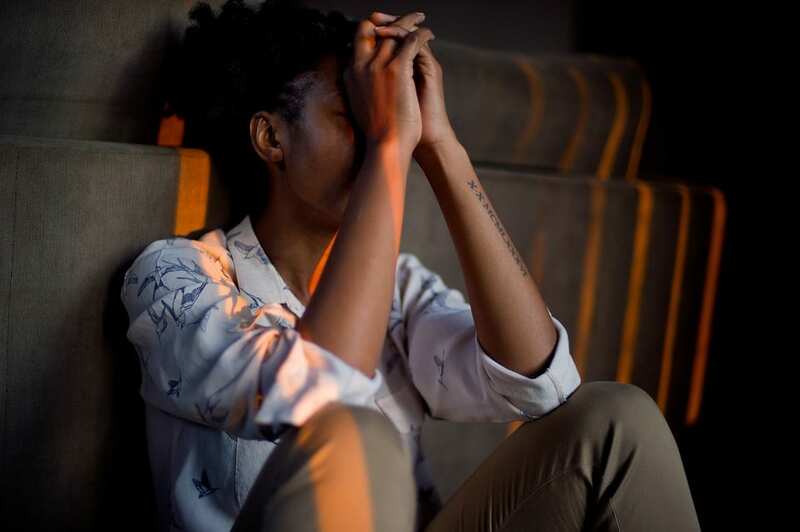 A California divorce can create a lot of stress and anxiety. Divorce is accompanied by an onslaught of changes, not all of them pleasant or expected. Mediation can reduce the stress of the divorce process. First, there isn’t any pressure to reach a final outcome. You can come to the table with a list of demands and without the worry that a judge is going to rule against you. Second, you can ask for compromises outside the scope of a normal divorce trial. There is no set precedent that needs to be followed, provided California law and due process is respected. Whether you are worried about fighting for a specific piece of property or making an odd request, this is a much better environment to do it. Third, mediation is a more relaxed environment. You will spend mediation comfortably seated in a private room, with only your divorce lawyer present. You don’t have to see your former spouse if you choose, and the mediator will handle the back-and-forth demands and compromises made during mediation. You don’t have to testify in court and there’s no need to provide evidence to the judge. For couples that can come to a compromise, mediation saves a great deal of stress – and money. Divorces that are settled through mediation are statistically more cost-effective than those that go to trial. The main reason is mediation is faster and more efficient than a divorce hearing. Where do you cut costs by settling a California divorce in mediation? 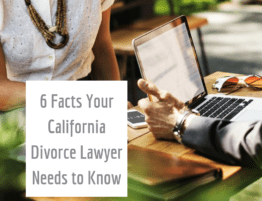 You will likely owe less in costs and fees to a Newport Beach CA divorce lawyer because the divorce proceedings are faster. As well, you won’t have to pay many of the costs related to court filings and fees. 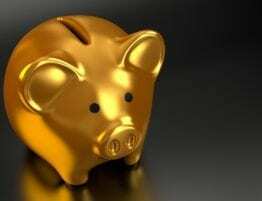 You will also see savings in the cost of due diligence, investigation, and collection of financial information. A couple must compromise to settle their divorce through mediation. There is no judge to offer a final decision or give a ruling on what is appropriate under equity and the law. 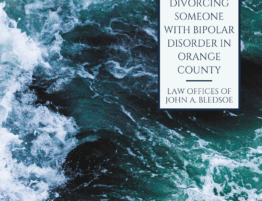 Of course, your Newport Beach CA divorce lawyer can offer advice and legal counsel, but ultimately it is up to you and your spouse to reach a fair decision on every issue. This includes settlement of alimony, child support, a division of property, and child custody. Mediation works best when couples are already closely aligned or near agreement on these issues. When there is a wide gap between what one spouse is willing to provide and the other is willing to accept, mediation is unlikely to reach an acceptable middle ground. As well, mediation is far more successful when child custody isn’t an issue. 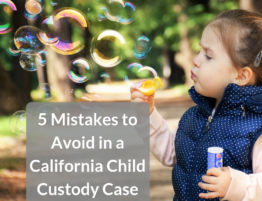 Child custody is the most divisive and complicated topic during divorce and it frequently leads to the biggest (albeit not the most expensive) battles between former spouses. Settling child custody discrepancies during mediation is difficult. There are often questions of the child’s best interest or preferences that are unrepresented or difficult to capture during the mediation process. Interested in Learning About Mediation? 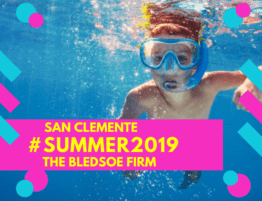 At the Bledsoe Firm, we help clients find the best path through the complex process of a California divorce. For you, this could mean reaching a divorce settlement in mediation. 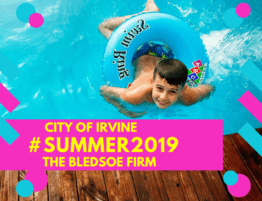 If you are interested in learning more about mediation and our divorce representation at the Bledsoe Firm, contact us at (949) 363-5551.